Many have turned to the application of design practices when addressing complex societal problems. One of the differences between ‘traditional’ design practice and design in a complex societal context is that design no longer just happens within specialized teams. Instead, designing has broadened to what Ezio Manzini calls ‘a designing network’, where design roles and skills are distributed over multiple stakeholders who are actively involved in making decisions. This fundamentally changes the roles of designers, the people they work with, and arguably the processes they run. In this blog, we explore the concept of a designing network to draw new insights on collaborations for social innovation, as described by Manzini in his book Design, When Everybody Designs: An Introduction to Design for Social Innovation (2015). A designing network refers to a group of people distributed over multiple connected teams and organizations from different parts of society who collectively address complex social issues. It’s not just a ‘collaboration’, but rather serves to foster the process of innovation through a set of specific practices. Moreover, it is not always clear from the start who is going to act, and roles may change over time for different stakeholders (from co-design to funding to prototyping to implementation). We describe the concept more fully below. If we, as social innovators, can better understand the designing networks that we are part of, and the underlying dynamics of how these networks function, we will be better able to adjust our behaviour and the processes we foster in response. This will allow the network as a whole, to function more effectively to create the most impactful outcomes. By now, we know quite a lot about how to work effectively in teams, as demonstrated by many evidence-based techniques that can be learned, such as through team coaching and leadership training. But our understanding of how to work in designing networks is still fairly limited, particularly in the context of addressing complex societal problems. We, as the authors of this blog, each have an interest in better understanding the dynamics of these designing networks. We decided to further explore this topic together with the broader ‘lab community’ in Toronto while Mieke was visiting MaRS Solutions Lab as an international fellow in May 2018. 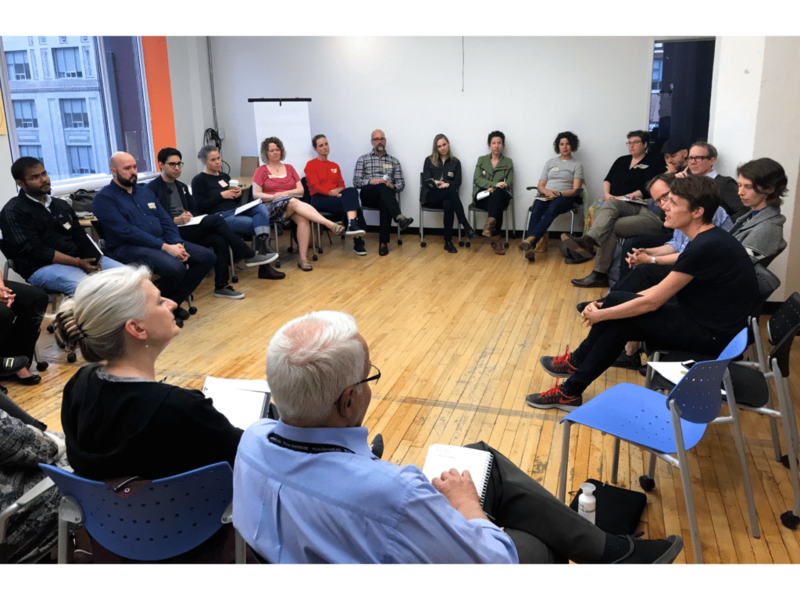 We gathered with a group of 25 people who study and work in the fields of design and social innovation in OCAD University’s Strategic Innovation Lab (sLab) to discuss what designing networks are, what value they produce, how we are working together, and how we can progress our learning. Participants included lab practitioners, designers, civil servants, and academics. These discussions raised more questions than answers for us on their implications for the field, and we share them with you here to advance our understanding of the concept so we can continuously improve our work in running co-design processes for social good. What is a designing network? 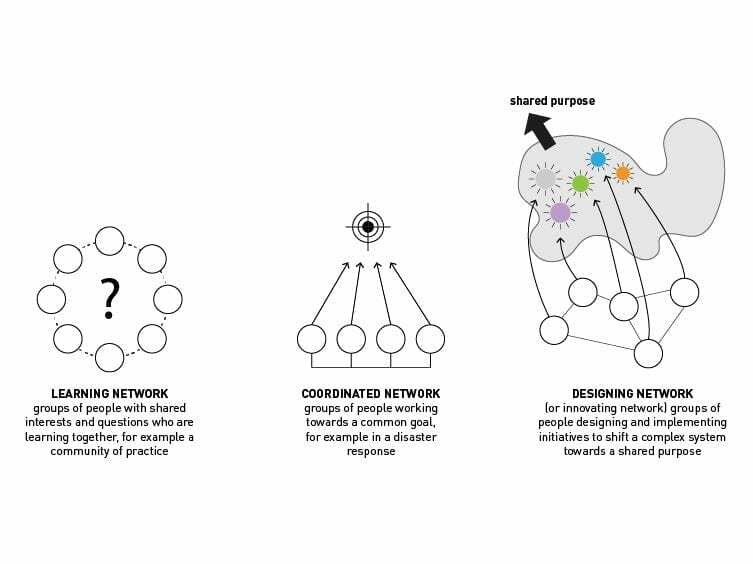 Designing networks are people or actors, distributed over multiple teams and/or organizations, who are connected in a network with a shared purpose to address a particular complex societal problem. Collectively, people in the network design and implement innovative initiatives that are aimed at shifting a system in the direction of their shared purpose (such as through developing, testing and iterating on prototypes). Compared to a design team, a network is more ‘open‘ in the sense that it includes people who work across different organizations or communities, people who may join and leave, and where people take on varying and changing roles. Designing networks differ in scale in terms of the amount of time involvement (ranging from a number of days to ongoing collaboration) and who and how many people are involved. A designing network is different from a ‘learning network’, such as a community of practice, which is aimed at shared learning from one another but does not necessarily have a shared purpose (see figure below). This graphic demonstrates the distinction between different types of networks. Illustration by Mieke van der Bijl-Brouwer (2018). Initiatives that bring people together from different perspectives, organizations, sectors and communities to address a complex societal problem, working across multiple teams and organizations. For example, RECOVER Edmonton is an urban wellness program in which multiple project teams, guided by the MaRS Solutions Lab, are involved in the co-design and testing of prototypes that improve and sustain the conditions for people and neighbourhoods to thrive in the City of Edmonton. Governments that adopt a ‘networked governance’ model and integrate the distributed capacities of external organizations and actors together with government. Systems change incubators that work with a network of stakeholders to create business solutions to complex challenges. For example, Future of Fish works with industry players, technologists, and NGOs to create business solutions for challenges relating to oceans. Living labs that operate as intermediaries among citizens, research organizations, companies, cities and regions for joint value co-creation, rapid prototyping or validation to scale-up innovation and businesses. The workshop at OCADU prompted us to have in-depth discussions about the meaning and implications of the concept of designing networks as applied to our work. As one participant explained, it’s hard to talk about nebulous things in a way that makes them seem real! Some challenging characteristics that emerged were the complex systemic nature of the networks, and their fluidity in time and scale. In traditional design teams as well as in designing networks, processes cannot be managed in traditional ways. This is because each challenge is unique and requires its own approach that cannot be defined in advance. Additionally, while a designing network might generate some tangible outcomes, such as policy change or new capacity to absorb innovations, it may also produce intangible outcomes that are difficult to pinpoint or measure. Here, we identify three factors that make designing networks uniquely complex. Fluidity of Relationships within Designing Networks: In a designing network, it is not only unclear what the process is, it is also unpredictable who is going to take part. People may join and leave the network at different stages, and their roles and activities may change over time. Participating in a designing network may affect the way people think about the problem they are addressing, or about the way they work, or even the relationships between people. Trust may be built but can also be breached. These changing mindsets and relationships will have influence beyond the immediate work involved. New partnerships or initiatives may emerge as a ‘ripple effect’ of collaboration. We are only at the beginning stages of learning about how to know when or where a designing network begins and ends, and how internal and dynamic environments and their corresponding relationships can be stewarded for the best possible outcomes. When are we ‘done’? An important consideration when designing for complexity is that it requires systems change, and yet systems change does not have a clear end point. Complex systems are dynamic, and from systems theory we know that we can shift these moving systems into certain directions, but we cannot ‘solve’ a complex system or stop it from moving altogether. To shift systems, it is commonly recognized that multiple initiatives are required. This is exactly what designing networks do. Different groups of actors will design, implement and evolve different solutions to start a system moving towards a certain direction, such as RECOVER Edmonton. There is no clear end state because social innovation is a continuous process, where initiatives are continuously added, evolved, and removed in line with the moving system. When do we decide to shift our focus from one set of initiatives to another? If we start with lofty aspirations (which helps us focus our efforts and ‘think big’), are we ever ‘done’? These are questions we will continue to explore in our work. Fluidity in Scale of Designing Networks: Designing networks are also open in scale. In the workshop, we questioned the boundaries of these networks in terms of who is involved, and who defines the parameters of who is involved. Power, agency and in/exclusion are important themes here. To be able to start or join a network, a certain mindset and skill is required; as well as the social capital, resources and a mandate to make things happen. The implications of this are great. How do we best coordinate a network that is in essence an uncontrollable system? Who ‘owns’ this coordinating role and who takes ownership? Who is missing, and what are the implications for diversity and creativity or lack thereof? These are questions that clearly deserve further critique and discussion. Implications: How do we work in designing networks? The network view on designing for complexity raises a number of significant challenges and implications for our work. In our discussions with other designers and practitioners, we focused on the ‘soft’ and often implicit implications, acknowledging that there are also hard implications such as governance, accountability and management systems (see for example the collective impact framework). Individual responsibility in building relationships: Designing networks often do not have a clear owner and yet the processes cannot be managed ‘from above’ in a hierarchical manner. 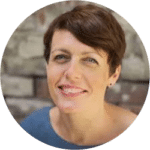 Rather, the responsibility for productive relationships in the network sits with each of the actors within the network, and not with a manager or facilitator who manages those relationships. As Adam Kahane (2017) argues in his book Collaborating with the Enemy, in complex ‘stretch’ collaboration we need to assume responsibility for the role that we ourselves are playing in the situation we are trying to change, and therefore what we need to do differently in order for the situation to change. This encourages us to think about how relationships are created and strengthened, and the soft skills that are required to develop them on an individual and collective level. Highlighting relationship-building in innovation: A focus on the building of trust between individuals, in addition to outcomes, is imperative for successful interventions. Given that building relationships (and trust) is a prime reason why people attend events, why not make that more explicit? At the same time, we need to acknowledge that relationship building requires a significant investment of time and a willingness to openly participate. Using more inclusive innovation language: The language we use is the tool that bridges us with the people we work with. If our language is exclusive, our processes will exclude. We must use shared language with the groups we work with. For example, there have been recent discussions about the use of the words ‘ethnography’ and ‘prototypes’ that are commonly used by experienced social innovators and designers, but don’t hold meaning for many people who are then excluded from the process of contributing to addressing complex societal issues. Developing innovation capacity within the network: Continuous innovation and systems change is most effective when people within the network learn to design and innovate themselves, rather than being dependent on external innovation consultancies. At the same time, we think it is good to acknowledge that there are different levels of expertise in innovation, and that it takes a lot of resources to build that expertise. What we need to do is to create ‘learning spaces’ in which we experience innovation, reflect on our experiences, and learn together continuously. Visioning and being aware of the cumulative value produced by individual actors: The value generated by the network is more than the sum of the value generated by individuals or groups that are part of the network, because of its systemic nature. For individual groups it is therefore important to keep track of how their innovative work interacts with the work of others, and what their position is in relation to the value produced by the greater network. Generating a shared vision can be helpful here. For example, MaRS Solutions Lab recently facilitated an innovation summit on reversing wildlife decline across Canada. It was a valuable exercise for participants to gain an understanding of others’ perspectives to build on a shared vision for promoting conservation of species at risk in Canada, particularly in understanding how an indigenous approach (and worldview) can be highly effective in conservation efforts. This is not so much a how-to blog, but rather an exploration of the elements and implications of the concept of designing networks and what we can learn from it to inform our work. So, how do we progress from here? We cannot control designing networks, but we can be open, engage in critical discussions about them, reflect and adjust our behaviours and actions. To start this process, we invite you to continue the conversation with us. Do these descriptions and implications resonate with your experiences? What are your main questions and critiques of both the concept and how it plays itself out in reality? How do you think we can progress in the field of social innovation and design more effectively together for complexity? We would love to hear what your experiences are so we can continue to explore these concepts and start generating strategies to design together for complexity. We would like to express our gratitude to Greg Van Alstyne and Peter Jones for hosting our session in the sLab at OCADU. 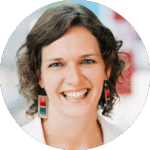 We would also like to thank all workshop participants for their contribution to the conversations, and Alex Ryan, Mikayla Zolis, and Willem Mees van der Bijl for their feedback on an earlier version of this blog post. Manzini (2015). Design, When Everybody Designs: An Introduction to Design for Social Innovation. MIT Press Books. Kahane (2017). Collaborating with the Enemy: How to Work with People You Don’t Agree with or Like or Trust. Berrett-Koehler Publishers.